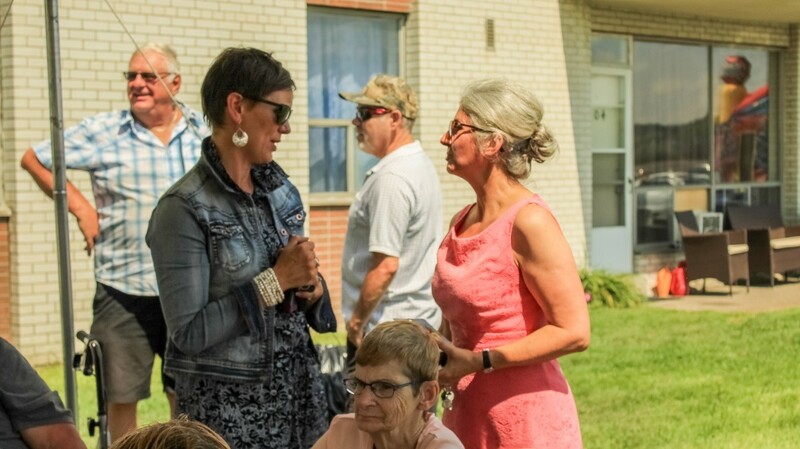 On Friday, August 17th, 2018 Williams & McDaniel Property Management celebrated their recent purchase and extensive improvement project of West Side Village in Copper Cliff with a barbeque. 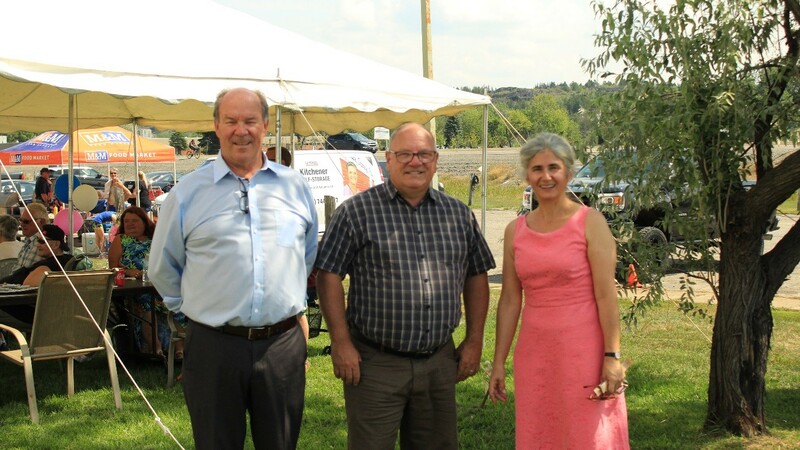 In attendance were the residents of West Side Village, Mayor Brian Bigger – City of Greater Sudbury, Clark McDaniel CEO of Williams & McDaniel, staff from both the head office in Guelph and the staff from Westside Village. The chance to dunk the owner and staff members for a donation of cash or food to the local food bank was a success. Netting 237 pounds of food and $250.00 in cash donations. Williams & McDaniel will match all donations in support of the Sudbury food bank. Clark McDaniel, addressed the crowd, thanking them for their welcome and announcing that the company intends to invest $1.8 million dollars into upgrades and improvements at West Side Village over the next 3 years. During the summer and fall months, the improvements will be concentrated upon exterior upgrades, including an extensive paving project slated to begin this fall. 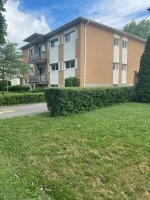 A number of green initiative upgrades are planned including interior LED lights and LED lamp posts, in an effort to reduce the complex's carbon footprint. 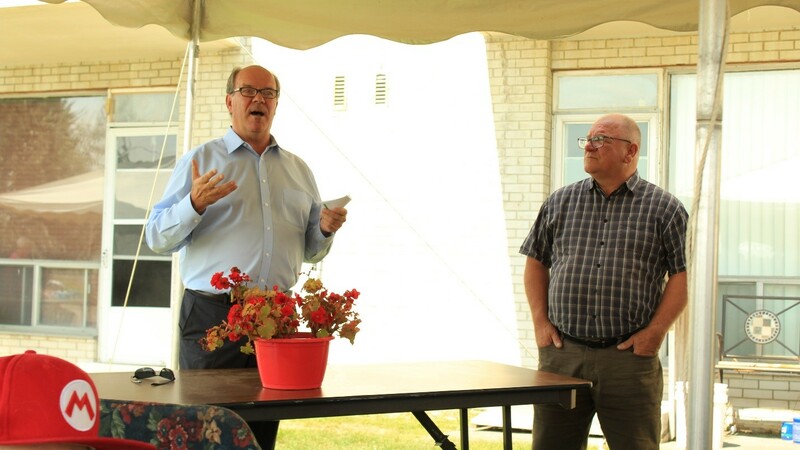 Mayor Bigger also addressed the attendees, thanking Williams & McDaniel Property Management for investing in West Side Village and the Greater Sudbury community. 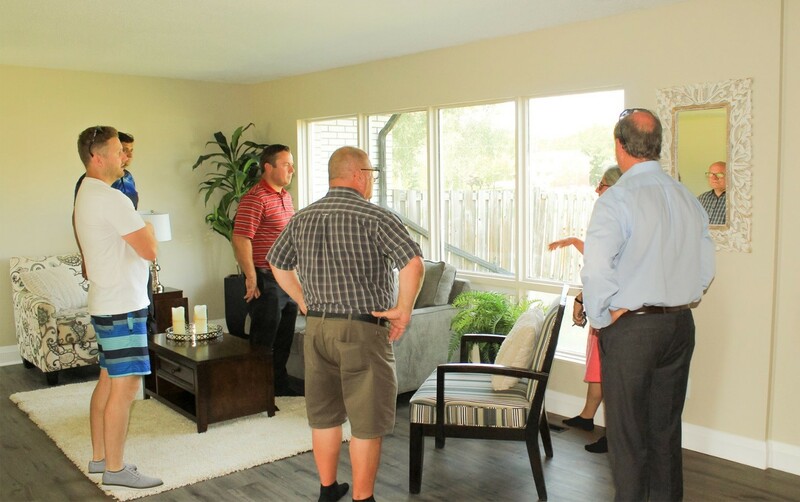 He then toured the property, including the extensively upgraded apartment and townhome model suites. 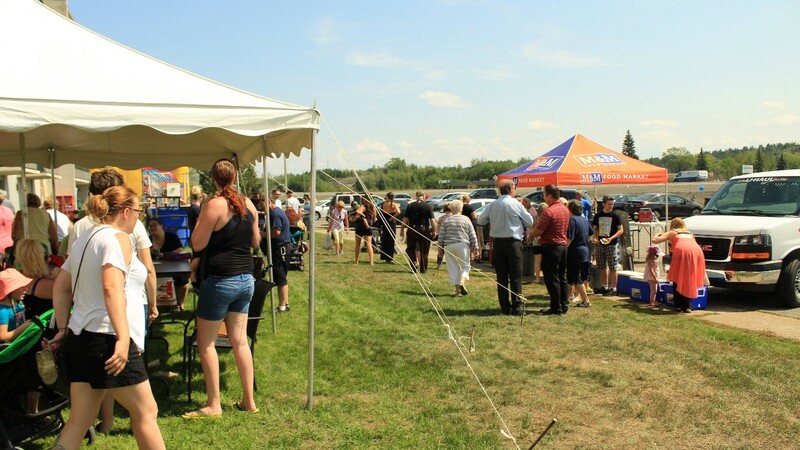 Residents and guests enjoy a barbeque lunch, catered by Sudbury's M&M Meats. Clark McDaniel, CEO of Williams & McDaniel Property Management, addresses the crowd, with Mayor Bigger looking on. Caroline Cameron (Membership Account Manager for the Greater Sudbury Chamber of Commerce), in conversation with Zeljka Budjinski (Director of Operations, Residential Division – Williams & McDaniel). Mayor Bigger and others tour the West Side Village complex, including one of the newly renovated townhomes. 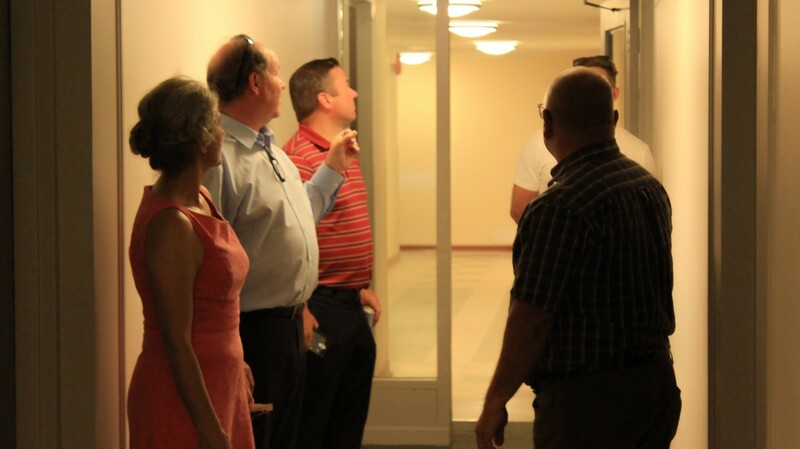 The tour included inspection of newly installed LED lighting in the common areas of the apartment building. 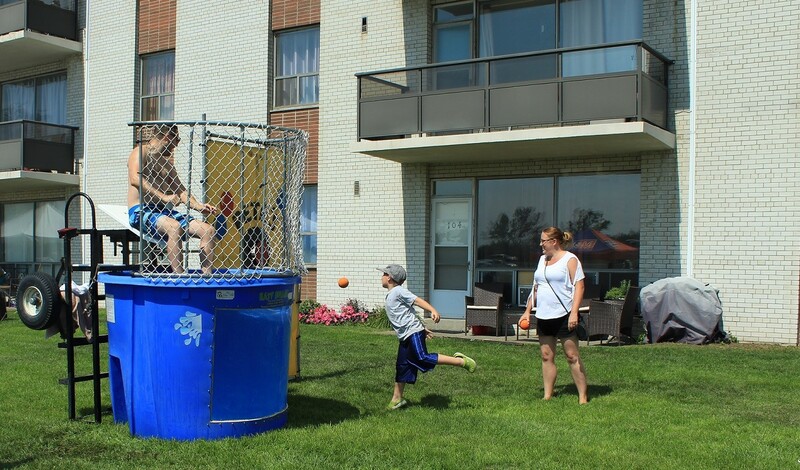 A resident throws a pitch to plunge Williams & McDaniel's West Side Village Project Manager Dario into the dunk tank, in support of the Sudbury Food Bank.